​17.11.2015: Exciting news!! 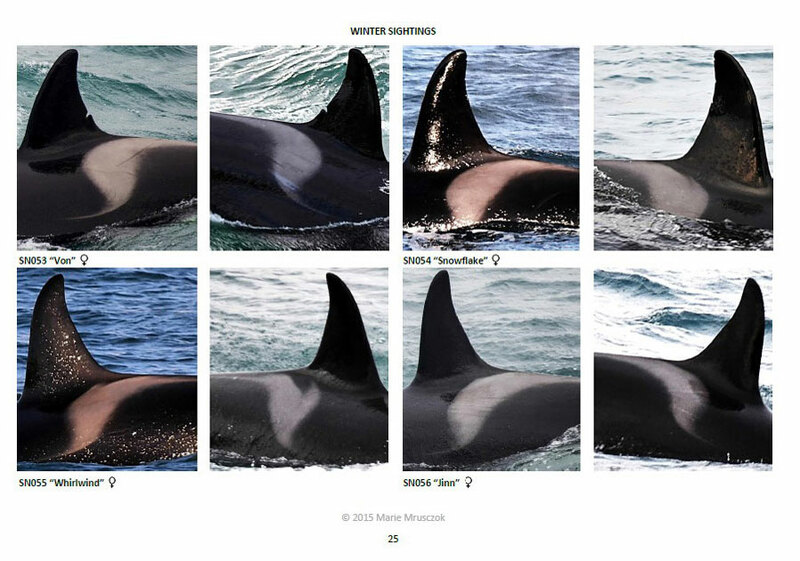 The second edition of our Orca ID Catalogue is out – and it has grown from 100 to 192 individuals within the last year! 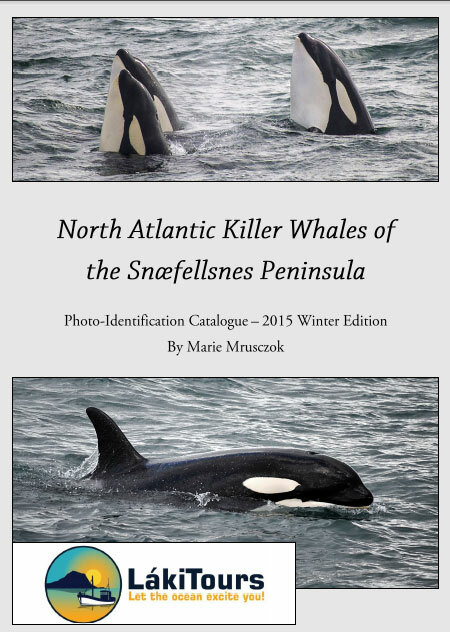 Below you can download the catalogue and read about our Icelandic orca population as well as check out the pictures of the individuals we have spotted along the Snæfellsnes Peninsula – and maybe you have seen some of them yourself? 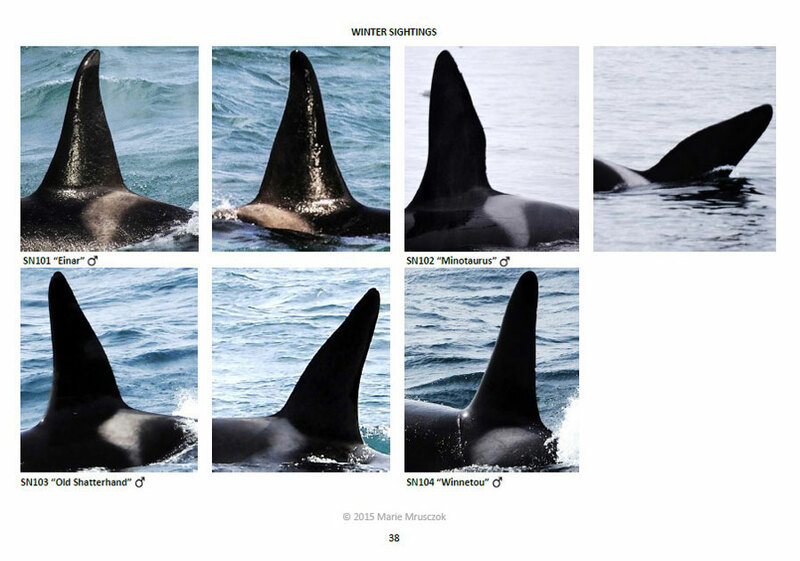 The catalogue is divided into summer, winter, and spring sightings, as we have different family groups roaming our waters during different times of the year. The catalogue is a work in progress and will be updated regularly. Enjoy!! 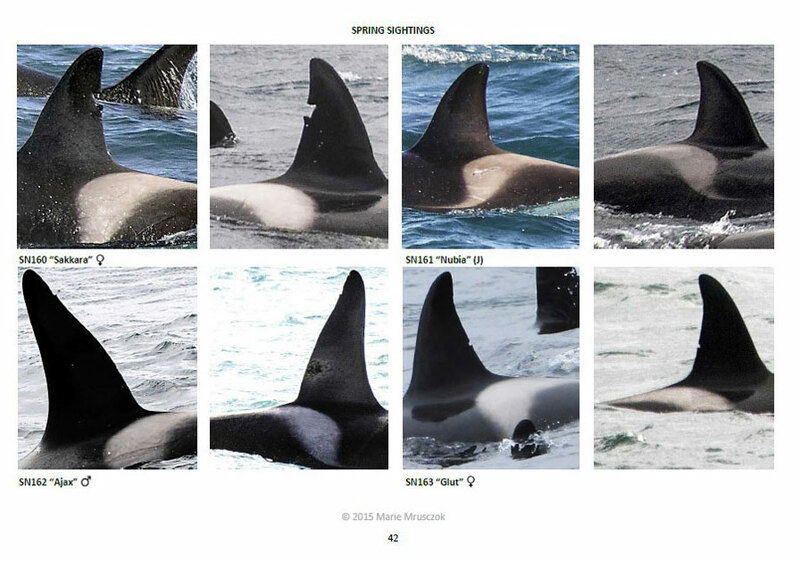 08.02.2015: In the first edition of our orca ID catalogue you can find pictures of most of the killer whales we have encountered during the last three seasons, in fact, of 100 individuals. 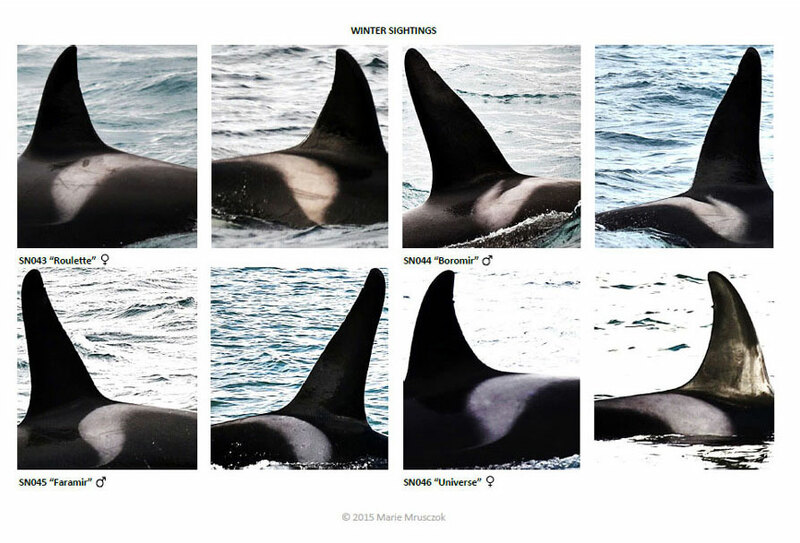 If you have been on a tour with orca sightings you can now compare the pictures you have taken yourself to the pictures of the family groups in the catalogue to find out which ones you have seen. 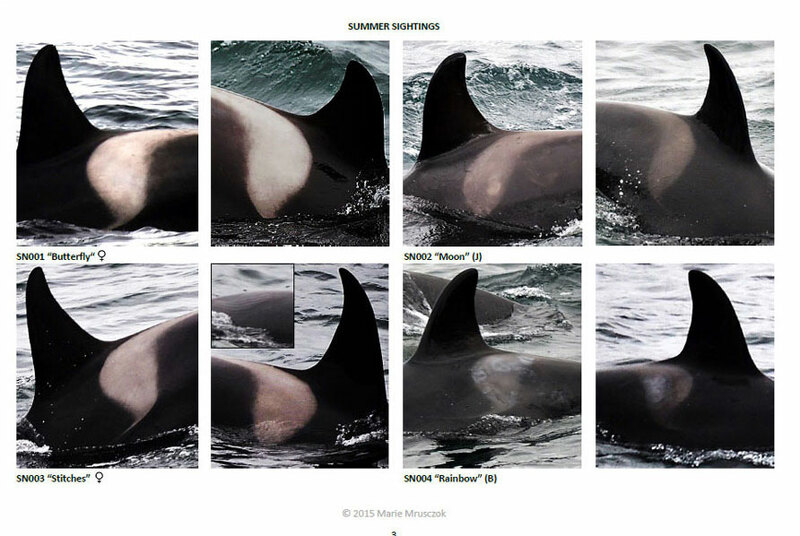 Have you been on one of our summer tours and seen little baby “Rainbow” (SN004) with its family? Or maybe you have spotted the two big brothers “Boromir” (SN044) and “Faramir” (SN045) that come to Snæfellsnes with their family in winter? 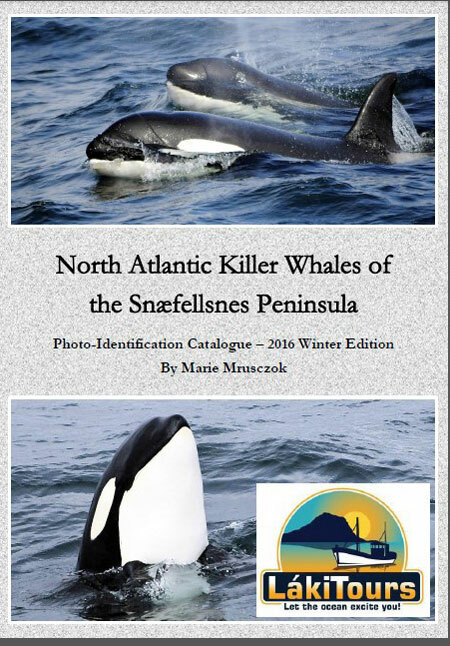 If you come on one of our future tours, we will have the catalogue ready for use on our boats to identify the killer whales we encounter right on the spot. 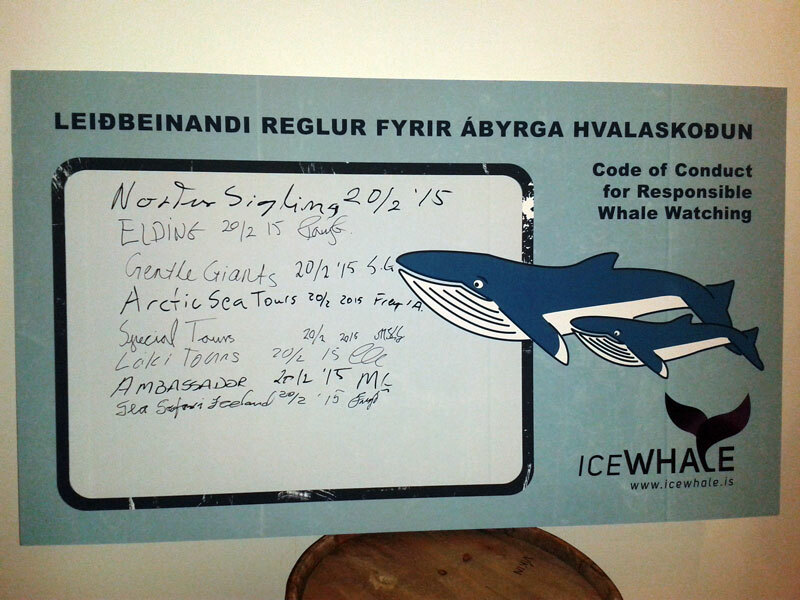 We also welcome the use of the catalogue on board the boats of other Icelandic whale watching companies. The catalogue has been sent to researchers and whale watching companies in several countries that have their own ID catalogues to see if there are matches between the populations. So far, we have not encountered any new matches apart from the (already known) conformity of a few individuals that are also seen in the Shetland Islands. But we will keep you updated! We hope that this will help us track migration patterns of “our” killer whales. If you see killer whales in other parts of Iceland we would be very happy to hear about it – let us know on facebook or via e-mail which groups you have spotted! 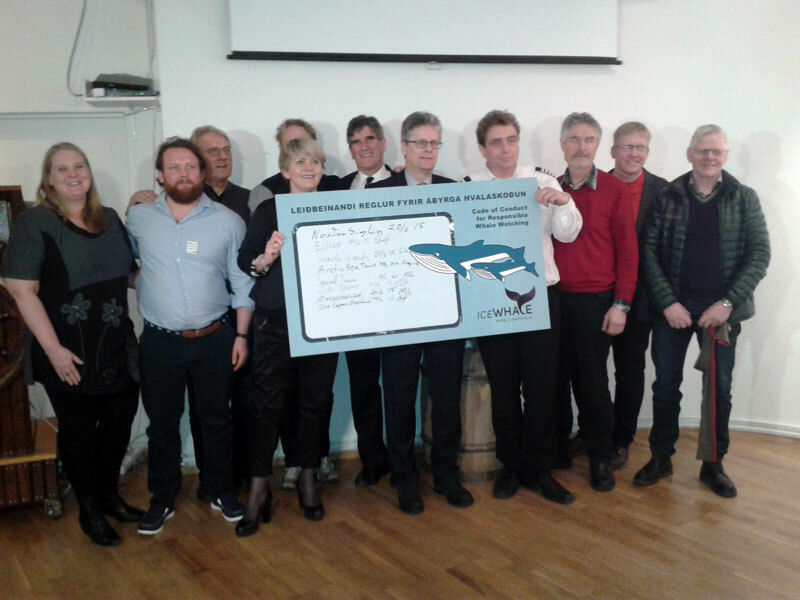 22.02.2015: We just came back from two days in Reykjavík where we participated in the IceWhale (Icelandic Association of Whale Watcher’s) conference. We listened to a lot of very good talks – mostly on the topics of onboard education, marketing issues, and whale watching guidelines – and gave some presentations ourselves (Marie on killer whale watching laws and guidelines in Canada/the US, and on the code of conduct for responsible whale watching that Láki Tours has already used for a long time). 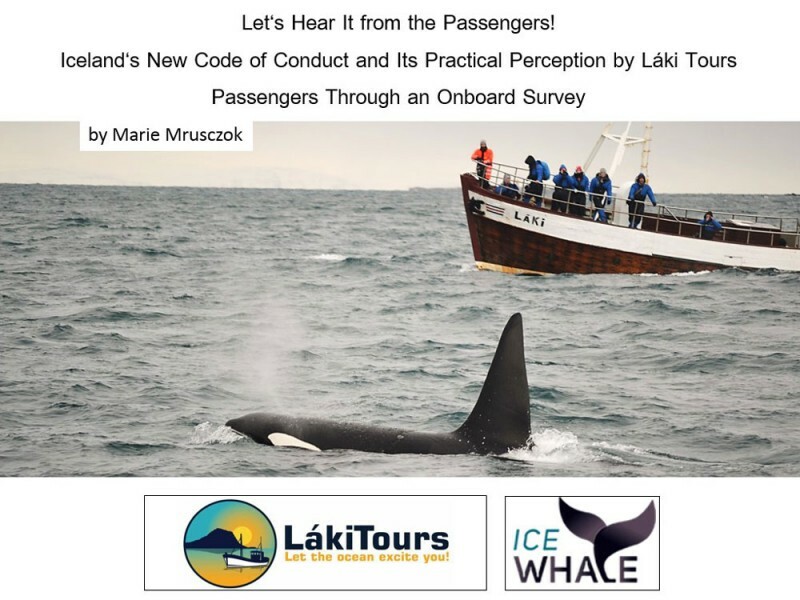 The ultimate goal of the conference was to get all whale watching companies that are involved with IceWhale to sign a whale watching code of conduct for Iceland and pledge themselves to adhere to certain standards for speed, distance, and approach when watching whales. 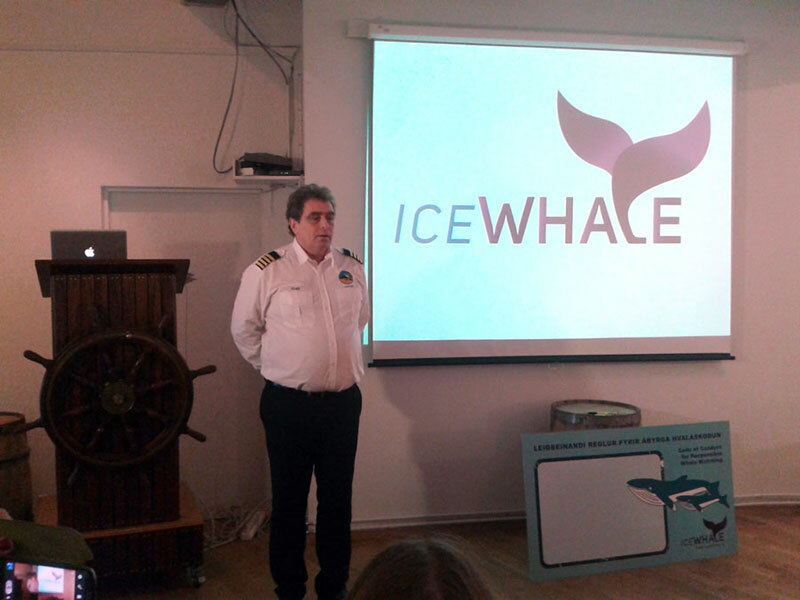 Gísli, who is the chairman of IceWhale, played a key role in this process, and took the lead in welcoming the ambassadors of both the British and the US embassy who attended the formal signing of the code of conduct, as well as the Icelandic Minister of Industry and Commerce, with a festive speech. At the end, eight whale watching companies signed the code of conduct! This is a major step for the development of sustainable whale watching in Iceland, and we are delighted with the outcome of this meeting! Now this code of conduct needs to be implemented by all whale watching companies equally in practice and made available to private boaters as well. Congratulations to the IceWhale committee for an outstanding achievement, and thank you to all supporters in the process. 28.09.2015: We would like to thank all passengers that have participated in our onboard survey during the last summer season! 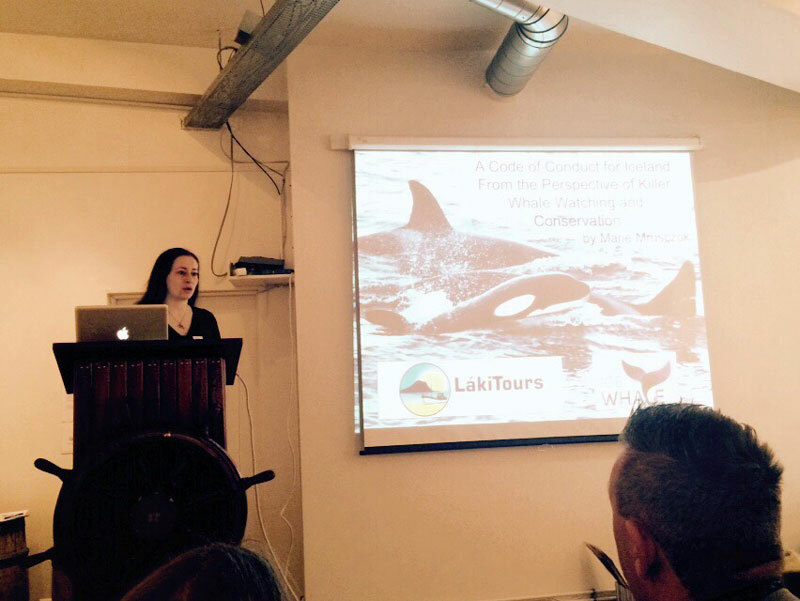 Last Friday we presented the results of this survey at the IceWhale seminar in Reykjavík. (IceWhale is the Icelandic Whale Watching Association and one of its tasks is to bring all whale watching companies together to discuss topics on conservation, research, management, commercial aspects etc.) As a result of our survey, we had a great majority of 93% of our participants speaking out in favor of our new Icelandic Code of Conduct and against disturbance of the animals we are watching. It’s very valuable for us and other whale watching companies in Iceland to know that most passengers would choose to rather stay further away if there is a potential disturbance to the whales – and watch them from a distance displaying natural behavior instead of harrassing them for a close look. A lot of our onboard participants gave great additional input and also rated our company according to their experiences. Thank you all again, you really made a difference! This survey will be ongoing during the winter season with modified questions and in cooperation with the department of environmental psychology of the University of Bielefeld. We hope for just as much interest and participation during the winter season as we had in the summer. 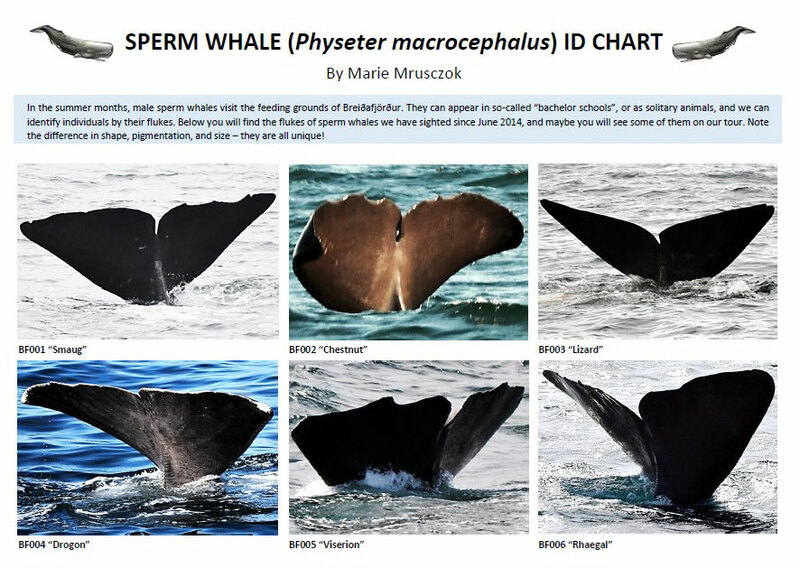 02.06.2015: Our sperm whale ID chart shows first results of the sperm whale research we are conducting on board, and will help us identify individual sperm whales that come to the Breiðafjörður area by their flukes. We already had one match on our first sperm whale tour of the summer season 2015 – we encountered a male that was seen the previous year at the same time of year on our tours as well! We have this chart ready for you to look at on the boat, so you can see right away which individuals we are watching.